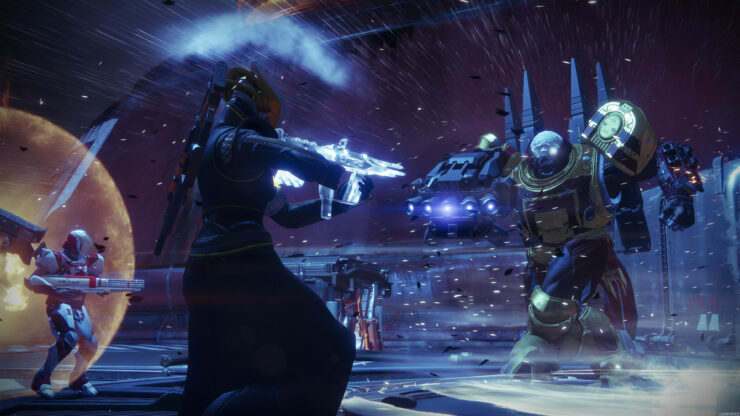 More than six weeks ago Xbox One and PlayStation 4 Guardians have begun fighting the good fight while PC gamers have been patiently waiting for their chance for Destiny 2’s PC release. The content itself for Destiny 2 on the PC is identical to the console versions, as you would expect. You’re still looking for CAYDE-6, Zavala and Ikora in order to strike back against the mysterious new faction of aliens who attacked the Tower and stole the Traveler, the mysterious spherical object that gave you and your other Guardian pals special powers and the ability to resurrect. First-time Guardians will be caught up with the first game’s events fairly quickly and tossed into the action right off the bat. I will admit though that replaying the intro mission in 4K resolution and at 60FPS was a sight to behold, even after playing this sequence half a dozen times already on consoles. If your PC has the horsepower, Destiny 2 will find new ways to wow. The gorgeous skyboxes that Bungie is famous for look absolutely stunning with the assets now displayed in their full glory. If you’re anything like me you’ll find yourself ‘stopping to smell the roses’ when you’re not taking on the Red Legion or smacking around some Vexx with your Dawnblade. 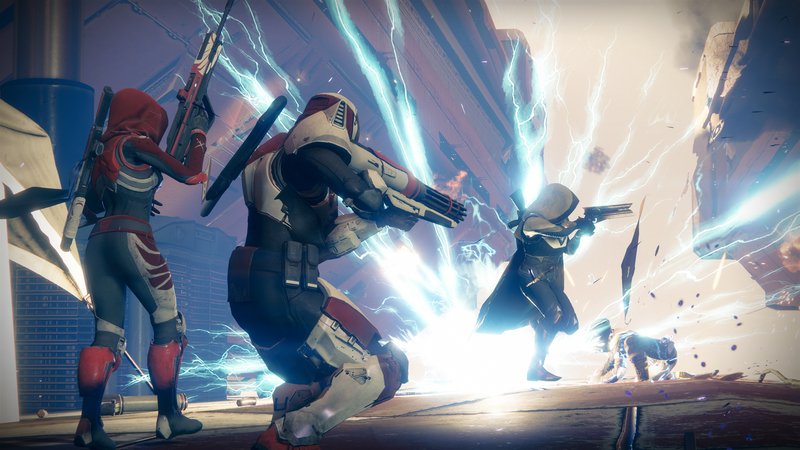 Another (and perhaps the most significant) change of Destiny 2 on PC is keyboard and mouse support. 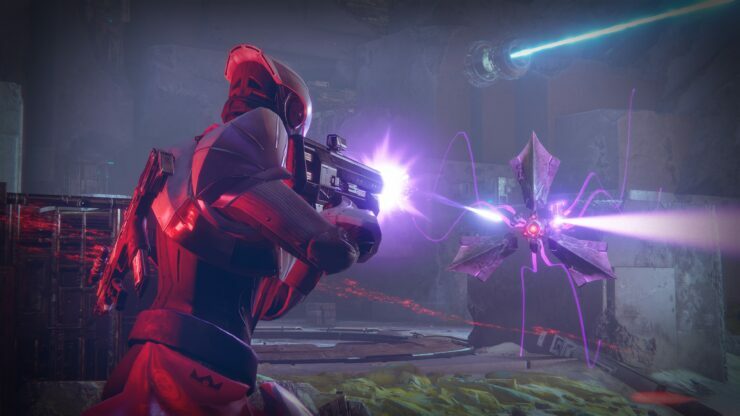 As it turns out getting Destiny 2 to play well with keyboard and mouse took a lot of work and tweaking on the part of Bungie and Vicarious Visions, who came on to partner with the studio, to launch the PC version. As you can imagine precision weapons like scout rifles or hand cannons become way more viable options in the Crucible. In the right hands, someone using a gun like Better Devils can do some serious damage. Out of the crucible, being able to hit the fuel tank of an incendiary trooper felt way easier than with a controller. One important note is that if you’re still more comfortable with an Xbox One or PlayStation 4 controller, you can just plug it in and it’ll work exactly like it did on the consoles. The Heads Up Display (HUD) remains the same with the exception of seeing a general chat icon that appears in the corner of your screen. Destiny 2 on PC is part of the Blizzard launcher which is a part of the Blizzard Games ecosystem, given the relationship to Activision as the publisher. It still feels a bit weird, albeit in a good way, to receive messages and being able to engage in voice chat with people playing Overwatch or Heroes of the Storm. Another thing on the control front is you can completely re-map the controls on the keyboard and mouse. So, if you have a fancy gaming mouse, you can set things like the default melee button to something a bit more comfortable than your keyboard’s C.
While it is nice to know that you can use your preferred gamepad, mouse and keyboard players are likely to have a distinct advantage over the competition. Still, when messing around with some late game content on Nessus I was able to participate in a Strike with a player who was using a PlayStation 4 controller and he was definitely able to hold his own. At least in PvE, this should be fully viable. During our roundtable discussion with Bungie and Vicarious Visions, they mentioned how while they’re proud of how the game looks and runs on higher-end systems, their main goal was to make sure that Destiny 2 is playable and still runs smoothly on a wide-range of machines. Unfortunately, the addition of any sort of cross-platform still seems unlikely. Bungie is confident that the PC player base will be large enough to sustain an active and engaged community. I’d love to see how well Destiny 2 actually runs on a broad range of PCs since the ones we used at this event will set you back over $2000USD if you include everything, all the peripherals like monitor, headset, keyboard, and mouse. You’ll see in the footage below that Destiny 2 ran great even with a ton of enemies on screen. We weren’t allowed to tweak the settings at the event, though you’ll have plenty of ways to customize your experience and achieve your preferred frame-rate. Bungie mentioned that the super hard end-game raid Leviathan will go live on November 1st, one week after the official PC release, with the Trials of the Nine going up on November 7th. All other future DLC will be released day and date with the consoles. Destiny 2 is still the intensely polished cooperative PvE experience that opens up to a brand-new audience. If you had issues with the content of Destiny 2 on consoles, chances are the PC version won’t win you over. 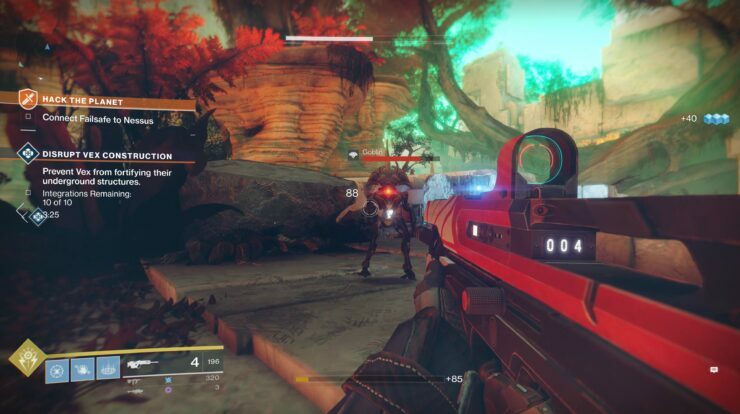 If you want the best looking version and best performing version of Destiny 2, on the other hand, the PC will be the way to go since it still manages to capture the great moment-to-moment combat on keyboard and mouse while allowing for much higher graphical detail and combat smoothness due to the increased frame rate. To read more on Destiny 2’s content, check Kai’s review. Disclaimer: Activision paid for travel and accommodation so that we could attend this event.